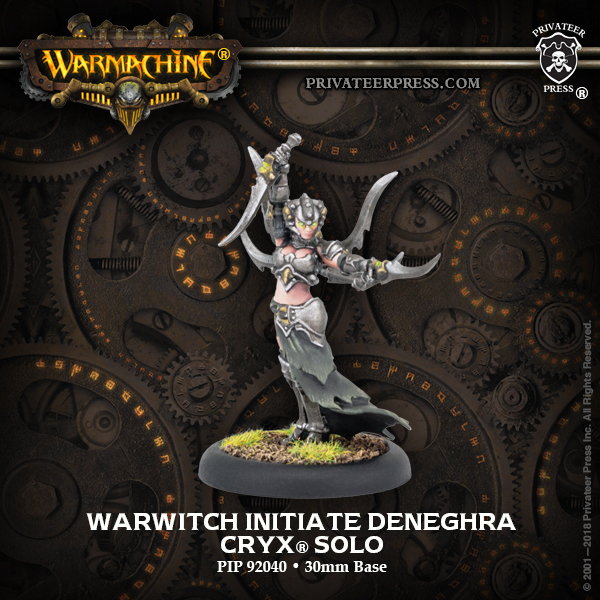 Deneghra was molded into a weapon for the Cryx from the beginning. She was identified by prophecy, and snatched from her home by satyxis at the tender age of five to be given to Asphyxious. 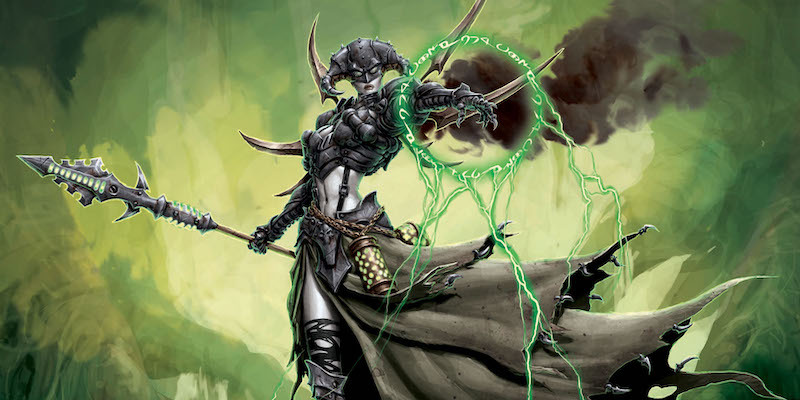 Once in his care she was raised to use her innate warcaster abilities for the Nightmare Empire; and was mentored by the iron lich to prepare her for entrance into the warwitch tradition. Deneghra took to her training, showing a propensity for malice and darkness that would have horrified the family she was stolen from.